Whether you are having a kick about with friends or for pride and place on your mantelpiece, the Gilbert ® International Rugby Ball is a superb quality ball designed in the colours of your favourite nation. 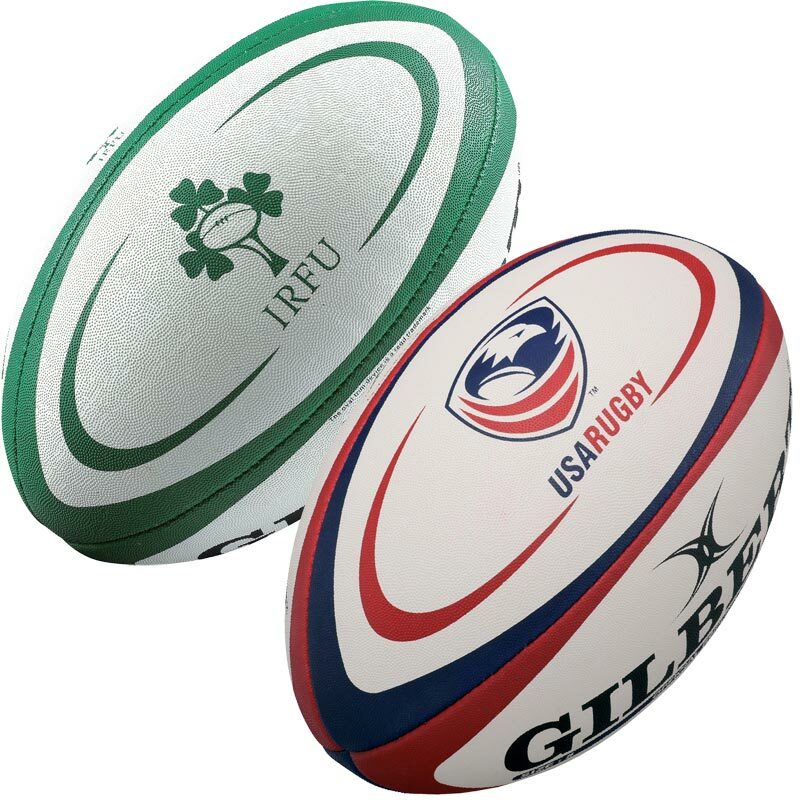 All balls are officially licensed and fully endorsed by the International Unions. Balls in the licensed Gilbert ranges are fitted with a synthetic latex bladder. This is to ensure that they remain inflated for the maximum length of time. A great way to support your team. Purchased two Portugal Rugby balls, as gifts for friends in Portugal just starting out in rugby, great quality, quality graphics and great way to promote the game. Fast prompt delivery. Bought French Intl rugby ball for my son's christmas present and he was so pleased. From order to delivery very efficient and reasonable prices. Very good!! Excellent price, delivery very fast I will buy other products with newitts in the future, reccomend to all my friends. Great quality ball, well finished, and for the money really is good value. Great service as well, the ball was received very quickly even in the busy pre-Christmas period.